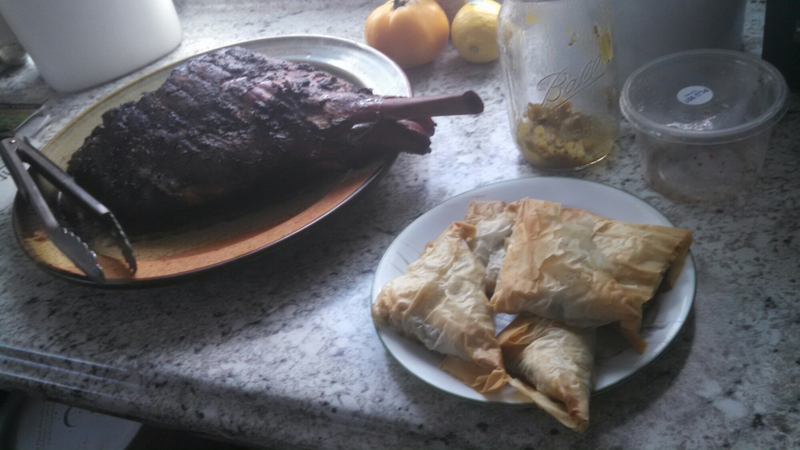 The Christmas day menu was as follows: delicious leg of lamb, along with spanakopita, tabouleh, a marinated mushroom salad and a roasted root vegetable soup on Christmas Day. Basically, we ate all day long…which is totally fine! Unfortunately, I wasn’t feeling up to baking so we didn’t have any desserts other than a few cookies (thanks Ben & Ashley!) and some chocolate. And that was really okay with us. Even though I was really missing the family this year, it was really nice to sleep in and just relax—I ended up reading a book and a half (the half a book being really long!) 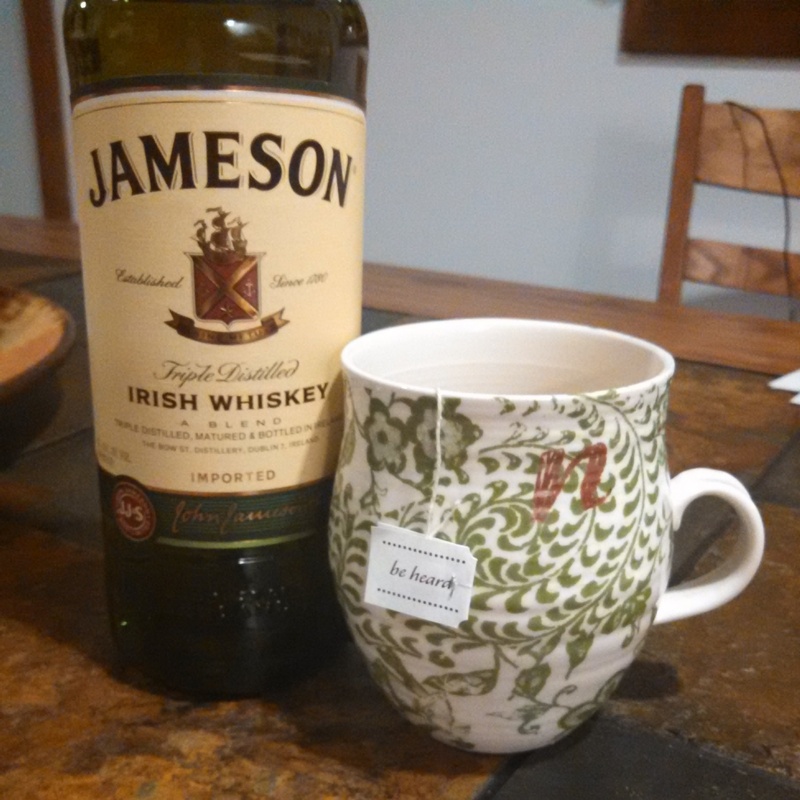 and sipping on hot toddies for the long weekend. Other than some major relaxing, we went to see Into the Woods with a couple of friends. Who knew Chris Pine could sing?! 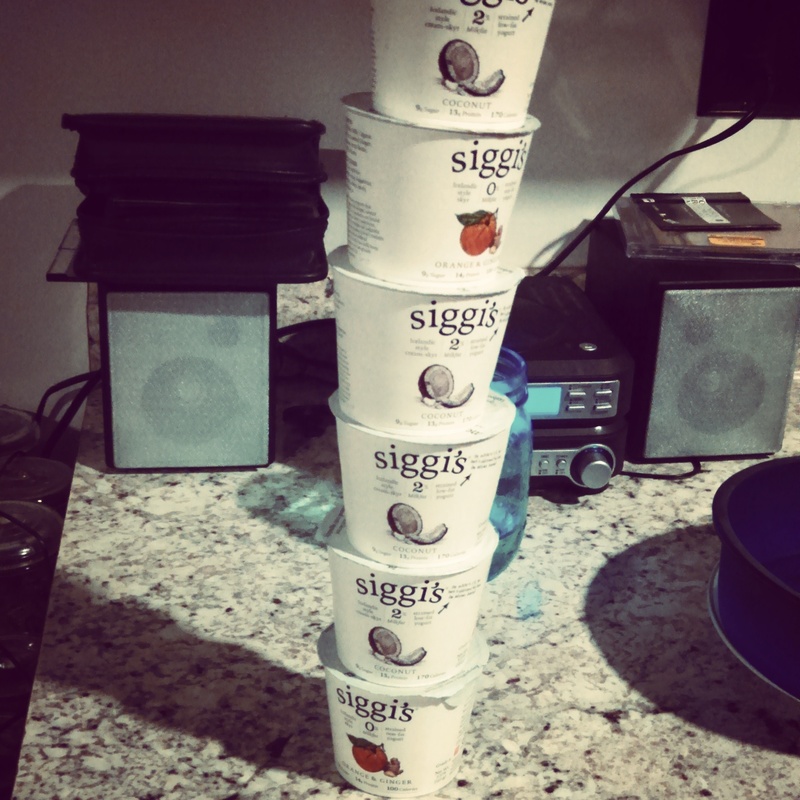 On Saturday, we drove over to Burlington to pick up a few essentials (like siggi’s and coffee) and skipped over to Trader Joe’s… I LOVE that store. We also discovered a new pizza place which was delicious…and we may have eaten all but two slices of the pie on the drive back across the lake… Whoops! 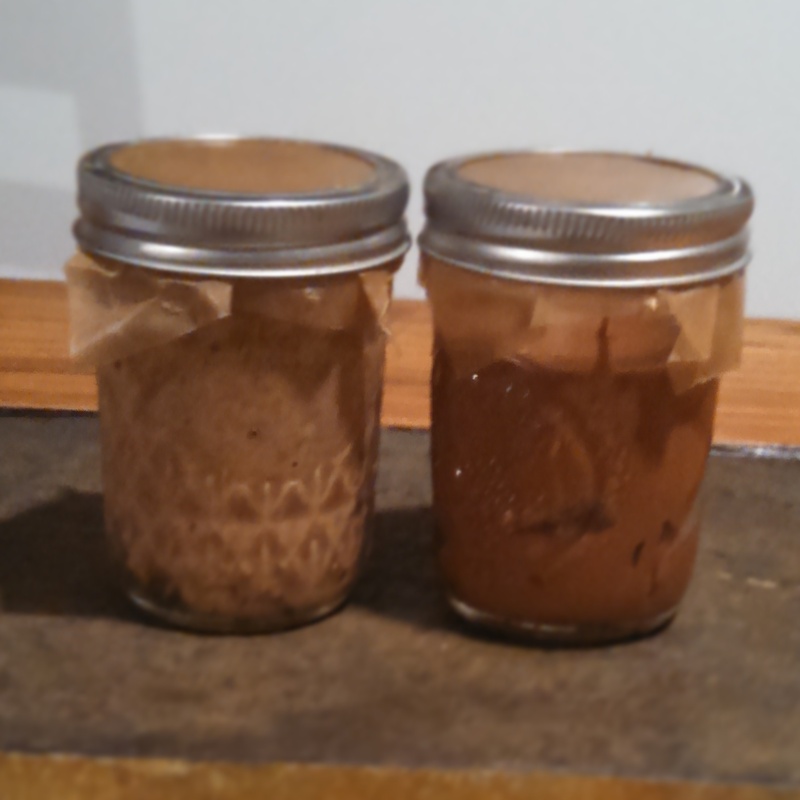 I made a batch of almond butter and a chocolate peanut butter (sweetened with stevia) in the ninja. Note to self: Next time either soak or roast the almonds first. Sunday was spent doing a lot of running around and church. Not gonna lie, it felt like a long day. Monday we had small group and wound up at the bowling alley. Have I ever discussed my bowling skills? Yeah, I don’t have any. My friend Ashley tried bowling with her left hand and ended up tossing the ball into the next lane… it was probably the funniest thing I have seen in 2014! Tuesday, I started my morning at the DMV…after work I went home and went to bed early! And here we are on Wednesday…At the moment, we don’t have any plans for New Year’s Eve… which is okay. Ben is working for part of the evening… we will probably pick up some wine and snacks and call it all good! I’m hoping this cough goes away.. It is so last year! What about you? Any NYE plans? Most embarrassing bowling experience?